Oliver Sacks, the author of best-selling case histories of mental disorders, died on Sunday. 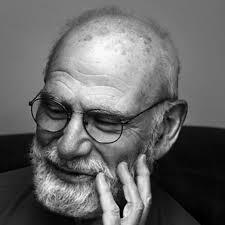 Sacks used his patients conditions as starting points for eloquent meditations on consciousness and the human condition. His writings, which he described as “neurological novels,” won him a level of popular renown rare among scientists. They were also a source of controversy to readers who contended that he was exploiting his patient’s maladies. Regardless, his works resonated with readers. So much so that several were adapted for film and stage (“Awakenings“); even opera (“The Man who Mistook his Wife for a Hat”). This entry was posted in Biography and tagged Biography, news, Psychology. Bookmark the permalink.